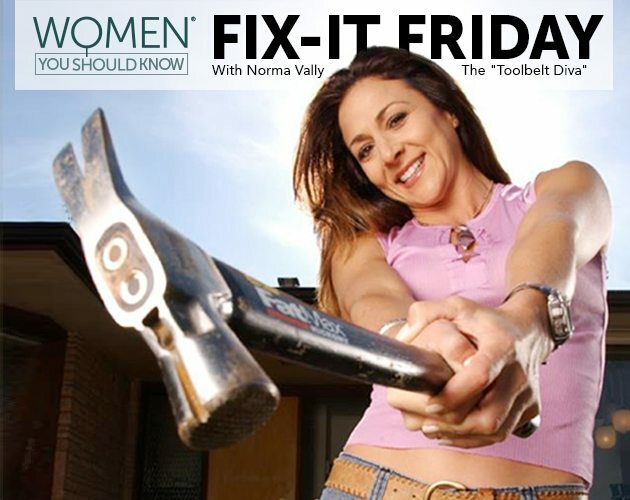 With today’s column falling on Friday the 13th, I was inspired to share a tale of misfortune that, thanks to a bubbly, oxidizing twist, has a killer happy “Fix-It” ending. Last weekend my nephew came home with a big fat blister on his foot that he had hiked on for hours resulting in a large missing slice of skin from his heel and a very bloody sock. Normally, I’d throw together a white wash load and add bleach, but my brother had no bleach in the house. That’s when I remembered, hydrogen peroxide. This stuff poured directly on a blood stain bubbles up and makes it disappear, like magic. But wait, there’s more! 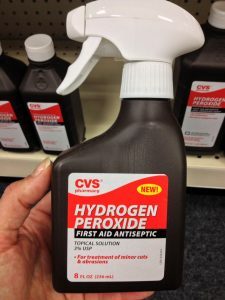 Hydrogen peroxide’s chemical breakdown is non-toxic, it’s really cheap, and not just for cleaning wounds anymore! Hydrogen peroxide, chemically speaking, is water with an extra oxygen molecule (H2O2). 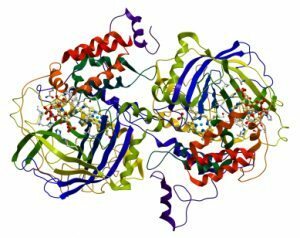 When it comes in contact with catalase (an organic enzyme) it separates into simply water and oxygen – that’s what makes the bubbles, the oxygen releasing out of the water. This “oxidizing” is what kills bacteria. What we typically know as hydrogen peroxide is a 3% solution found in pharmacies. There are higher grades – from 6% for hair bleach, 35% food grade to make things like cheese, to 90% concentrations to make rocket fuel and other explosive compounds. Quite versatile! 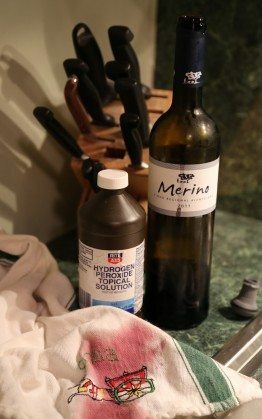 Pour peroxide directly on fabric (clothing, carpet, etc.) and watch the blood stain disappear. Catch the stain soon. If the stain has set, use a little liquid detergent too and scrub. Rinse with cold water (hot water sets blood stains). If necessary, do a small test patch to see how it reacts with the dye of that particular fabric. Saturate the affected area with HP and let it soak for 10 minutes (blot a wet wine stain first). Rinse with tepid water. If really stubborn, add liquid detergent to the spray and scrub. Repeat if necessary. Test patch on darker fabrics first. For grimy looking grout and tile, pour hydrogen peroxide in a spray bottle and spray the tile surface, concentrating along the grout lines. Use a brush on stubborn spots with some detergent. Rinse with hot water. 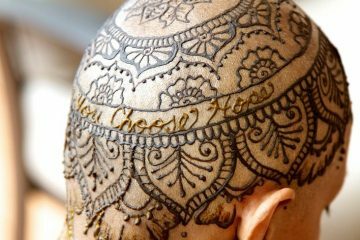 Far gentler than chlorine bleach, hydrogen peroxide bleaches, deodorizes, and disinfects, but is safe on most fabrics and dyes. In fact, the “oxy” in all of the popular oxy cleaning products comes from HP. Add one cup of peroxide to your wash load to brighten whites and lights. Test patch on darker fabrics first. Clean means to clean away debris. Sanitize means to kill 99.999% living microbes. We want both. Wash your cutting board with soap and water. Pour or spray peroxide over the board and let it sit for at least 10 minutes. Rinse with warm water. Countertops, fridge shelves, handles, lunch boxes, toilet seats, etc. Spray hydrogen peroxide and let stand for at least 10 minutes. Wipe dry with a paper towel. Soak toothbrushes, cleaning brushes, sponges, loofahs, etc. in hydrogen peroxide for 10 minutes. Rinse with warm water and air dry in sunlight (if possible). Depending on where the mold is located, pour or spray hydrogen peroxide directly on affected areas and let stand for 10 minutes. 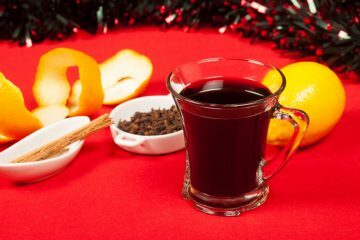 Repeat if necessary, then flush with hot water. In 2 spray bottles, one with hydrogen peroxide, the other with distilled white vinegar, spray the fruits and veggies, let stand for at least 10 minutes, then rinse with tepid water. The HP kills bacteria, while the vinegar helps remove bee’s wax and pesticides. 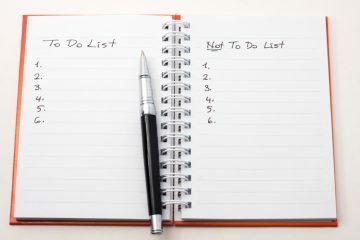 Add 1 pint of hydrogen peroxide to a gallon of water to clean humidifiers and steamers. When used properly, HP is 100% proven to kill harmful human pathogens like Salmonella and E. Coli. Hydrogen peroxide decomposes from light and warm temperatures, hence the dark bottle and instructions to store at room temperature. Also make sure to keep the cap tightly sealed. When filling a spray bottle, only pour what you’ll use – light causes peroxide to decompose. Try to find an opaque spray bottle, or better yet, find a spray nozzle to fit your HP bottle so it’s ready to go at all times! Some stores now carry HP in spray bottles – manufacturers finally caught on, but they’re a few bucks more for the convenience. For use as an antiseptic when cleaning wounds, research has shown that for an initial “flushing” it’s effective, but any more than this can be harmful to the healing process. 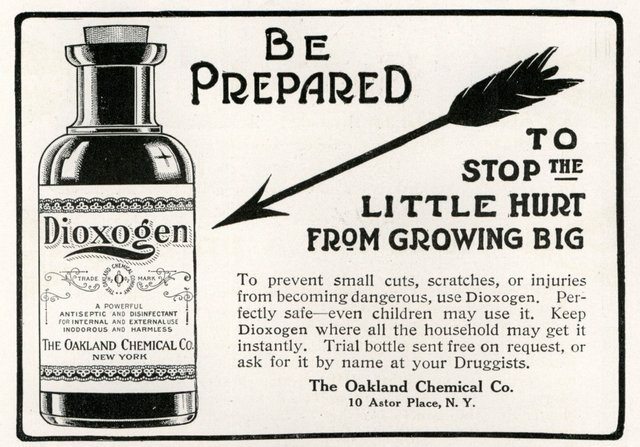 PS – The lead image, which is oh so cool, is a vintage ad from 1916 for Dioxogen (a.k.a. 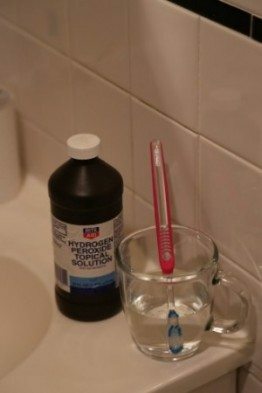 Hydrogen Peroxide). Every time I cook with my wooden spoons, I never think traditional cleaning will get rid of any potential microscopic germy stuff because the wood is so porous, especially when they sit in sink/water a little too long. So this is the answer to my santising dreams! Just sprayed my wooden spoons down with HP (I found the spray bottle version in the pic at my CVS). Great tips… Thanks! What does it say about me that while I was taken by the content of the article, I absolutely fell for the 1916 bottle!?! But I’m going to try it on my 75+ year old bathroom tile, too. Can’t wait! I’ve used hydrogen peroxide on grout before and it’s worked wonders! But…I combined it with baking soda. I made a loose paste of the baking soda and peroxide, let it sit on the grout for 5-10 mins, and it literally lifted the grime right off. I used a toothbrush on a spot or two, but it was a miracle! 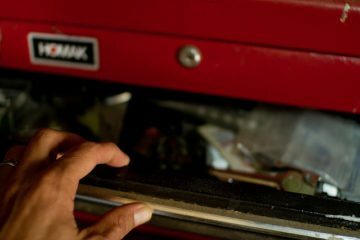 Yes, a paste with baking soda gives another level of cleaning. It adds “scrub ability” and also helps to remove odors. Thanks for adding this tip, LL! I always known that peroxide was good for cleansing scraps and bruises, but now I have so many more uses for it. Thanks for the great uses.